Below are a few prayer requests and pictures of events this month. We are thankful that the women’s conference this last week went well. 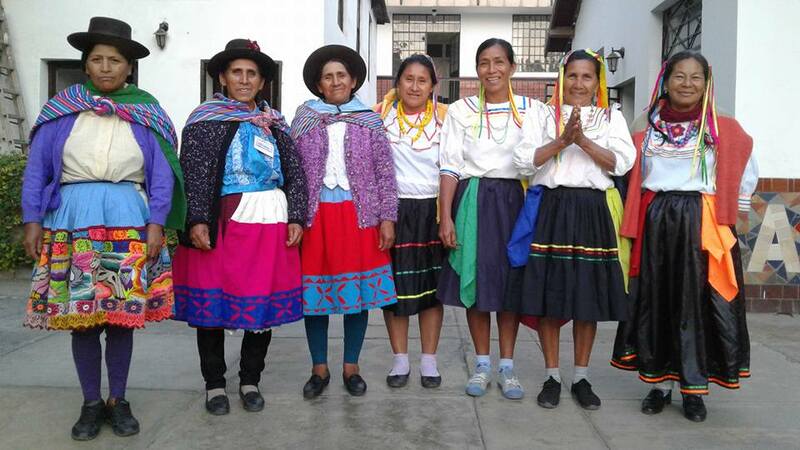 About 60 women, mostly indigenous Quechua women leaders, came from all over Peru. They were from 20 different churches and 8 different denominations. Also check out Runa Simi’s Facebook for more news and photos! – for Pablo Saccsara who is traveling today to USA for some meetings with One Hope who provides our children and youth evangelistic materials. – for the Runa Simi kids, there is a nasty virus (Hand foot and mouth disease) going around, Gabriel has been pretty sick this past weekend, praying that the rest of the kids don’t get it! 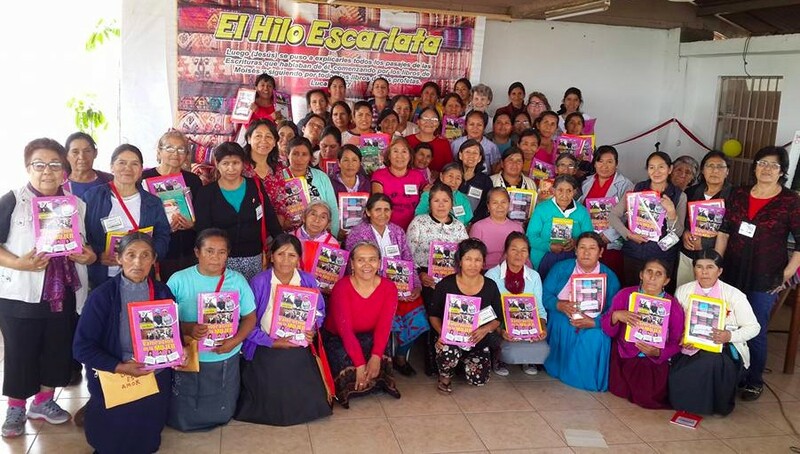 Samuel Saccsara traveled to Huayrapata, Andahuaylas this month to teach a “train and multiply” study on Jude to 40 students. Samuel says he was somewhat weak and with little strength but thanks to your prayers God sustained him. In the church of Yanama – Ayacucho where Samuel Saccsara traveled to teach a “Train and Multiply” study. 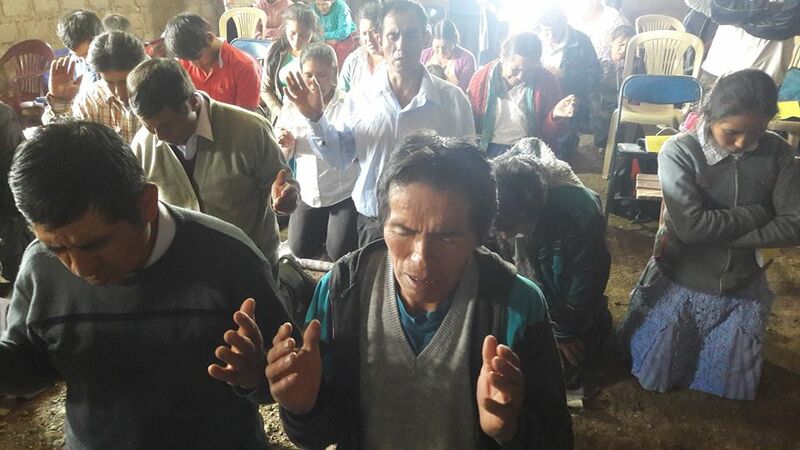 Samuel traveled to Pichari (Vrae area) in Ayacucho this last September to teach. Many Quechua there work planting cacao (chocolate plant), coffee and coca leaf. 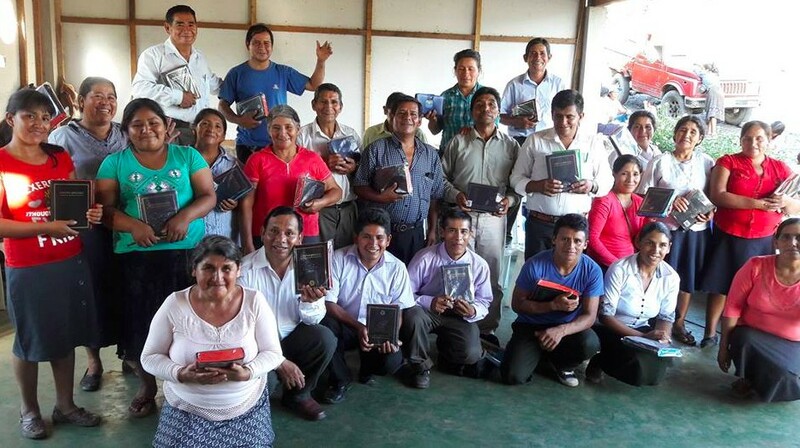 They were all grateful for the study and to receive a Quechua Bible.